The weather warmed up significantly so I was able to forego tights and a huge coat for this look. Yay! I've had quite a few requests for more workwear pieces and looks so I plan to incorporate that into my posts over the next few months. Since I have never worked in an environment with a strict business professional dress code, my take on work wear will always be a bit fun. I worked in the beauty business for almost all of my career so looks like this were always something I would wear to the office. 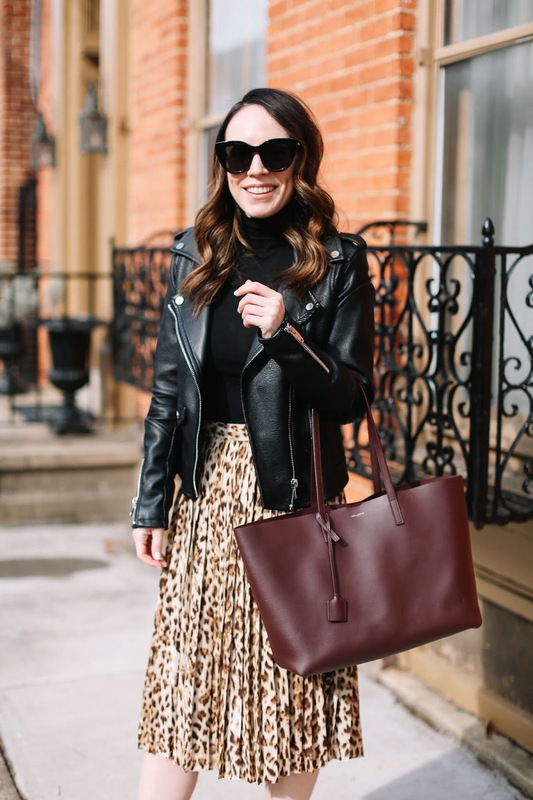 The faux leather jacket is a great way to add a bit of edge to the outfit, but a simple blazer or wool coat would be a great option as well. 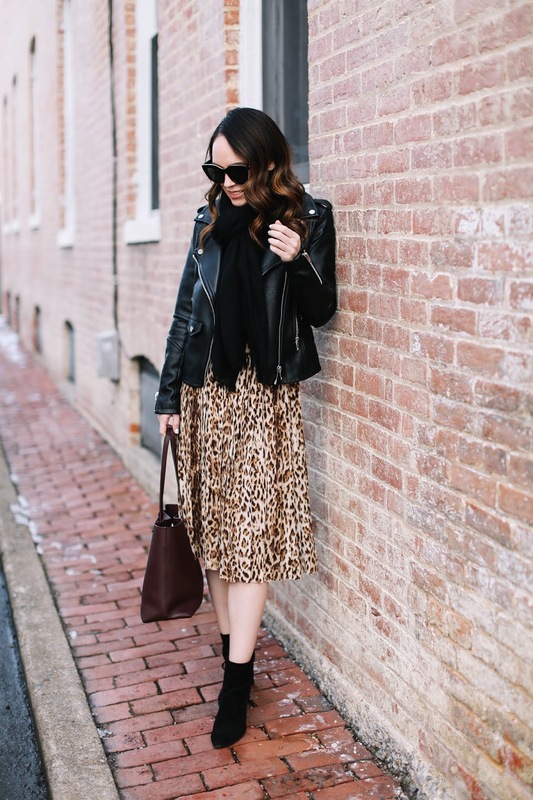 I also like that leopard can be worn any season of the year, and pairing this with a black camisole and strappy sandals or pumps will transition this look into the warmer weather perfectly. 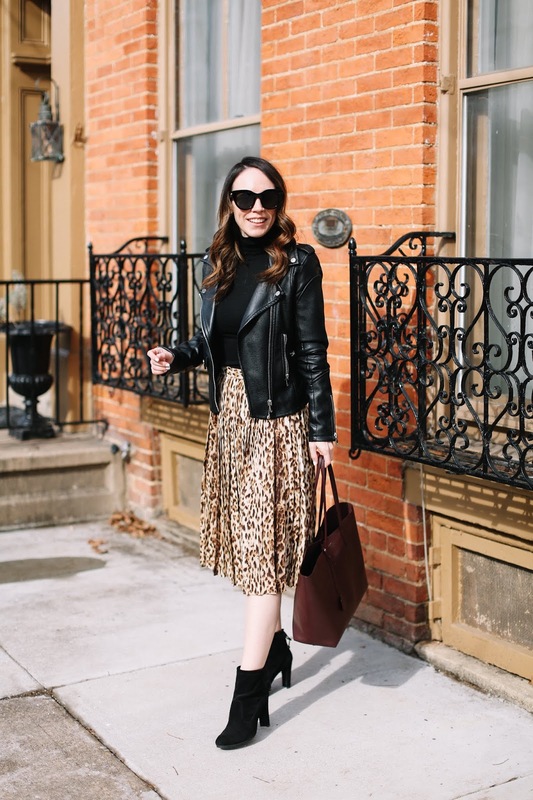 If leopard isn't for you, I still love this entire look with any midi skirt such as this one in pink, a simple black one or this one in a gorgeous forest green.